Sadly not confined to menopausal women, loss of bladder control also affects men and people as young as their twenties and thirties are faced with it too. Many women have developed a weakened pelvic floor from multiple childbirths, and at menopause may also suffer from urinary tract infections, stress incontinence and pain when passing urine. Along with symptoms of vaginal dryness, irritation and pain during sexual activity, these menopausal symptoms are more common and often severe in women who smoke, due to increased break down and hence lower levels of oestrogen. Doctors are seeing increasing numbers of people for this very common, but chronic, condition but I suspect they very rarely suggest their patients get hold of a rebounder. 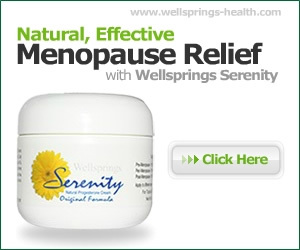 The usual treatment for urinary incontinence are prescription drugs or pads. The drugs work by either strengthening the bladder’s sphincter or relaxing the bladder so it can hold more urine. Although drugs can be effective they are not a permanent solution and like all drugs do have side effects ranging from a dry mouth to more serious, but less common effects, such as constipation, heartburn, blurry vision, rapid heartbeat and cognitive side effects such as impaired memory and confusion. The great drug free alternative – a rebounder – can offer symptom relief and a host of other health benefits. This is because you engage in cellular exercise and even the gentlest of bouncing allows every cell in the body to become stronger. This, of course, includes the bladder sphincter muscles as well as the bladder itself. Increased cellular strength in these areas provide the control needed to permanently correct urinary incontinence issues. Generally, improvement can be seen in as little as two weeks. So what is a rebounder? 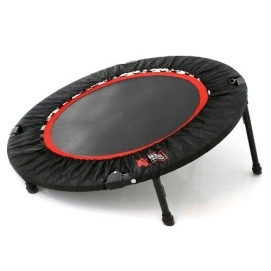 It is a sort of mini-trampoline about 3′ in diameter and 9″ high. It is safe, easy to use, and effective. You need regular exercise and movement to ensure that your lymph system is effectively carrying nutrients to the cells, and waste products away from them. 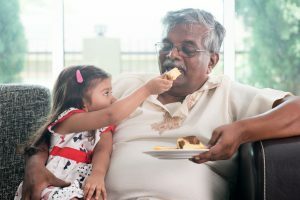 Without adequate movement, the cells are undernourished and left with waste products and this state contributes to arthritis, cancer and other degenerative diseases as well as aging. When you bounce you are stimulating all of your internal organs, moving the cerebral-spinal fluid, and benefiting your intestines. You are also subjecting the body to gravitational pulls ranging from zero at the top of each bounce to 2 – 3 times the force of gravity at the bottom, depending on how high you are rebounding. This means oxygen is flooding your cells, and your joints are under no strain which makes it ideal for the elderly, overweight or unfit. All the cells in the body become stronger in response to the increased “G force” and this cellular exercise results in the self-propelled immune cells being up to 5 times more active. These immune cells are responsible for eating viruses, bacteria and even cancer cells, so it is good that they be active. You start with a gentle “health bounce” which means your bare feet remain in contact with the mat while the body moves up and down, this is not about leaping into the air but about strengthening the entire body. Start slowly for just a few minutes each day, visiting the bathroom as needed, and over time you will gain better control of your bladder and visit the bathroom far less frequently. At menopause the muscles do weaken and low oestrogen means less elasticity so checking your hormone levels will be helpful as a combination cream with both progesterone and oestrogen could also be beneficial. If it is a case of ‘only when I laugh’ or sneeze then there are some useful tips you may not be aware of. For example, if you have been drinking more than 2 litres of fluid each day, then cut down. Drinks containing caffeine and alcohol can be particularly troublesome so minimise drinks such as coffee, tea, fizzy drinks and alcohol. Also keep an eye on your weight and and have some form of regular exercise. Specific pelvic floor exercises help many women and there is a simple, straightforward guide at the Tena web link below. A good sports shop or online is usually the best place Margaret. Hi, i believe that i noticed you visited my weblog so i got here to go back the desire?.I am attempting to to find issues to enhance my website!I guess its good enough to use a few of your concepts! !